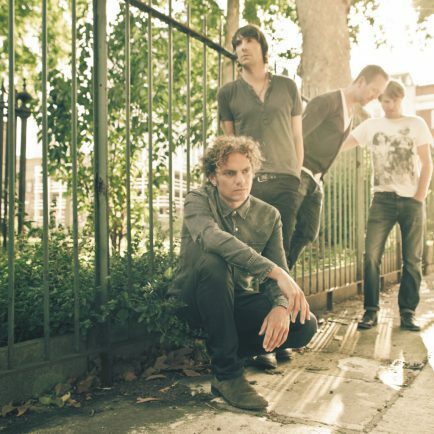 A BRITPOP band hailing from Redditch and Bromsgrove are returning to the Midlands for a brand new festival this August Bank Holiday. Dodgy will be headlining at Warwickshire’s newest music festival, Camper Calling, next weekend and audiences can expect a family-friendly party atmosphere. The three-day boutique festival at Ragley Hall is also offering top acts like chart topping 80s band ABC, Toploader and The Magic Numbers among many more. Matthew Priest of Dodgy, who top the bill on Friday, said: “Festivals are a great way to put yourself out there and new festivals are popping up all the time. “It’s all about winning over the audience and I’ve got a good feeling about Camper Calling. The Black Country boy moved to Bromsgrove aged 13 when he met his Redditch bandmate Nigel Clark and formed Dodgy, who enjoyed top chart success in the 90s. In their early days the band played the Palace Theatre in Redditch and several pubs in Bromsgrove including the Golden Cross Hotel. “Redditch was a good place to start a band,” added Matthew. Set in the grounds of the Ragley Hall estate with its 400 acres of parkland, woodland and gardens, Camper Calling aims to keep spirits high throughout the Bank Holiday weekend (August 26-28) with live music across several stages, street food, a fun fair and an array of outdoor activities for visitors of all ages. Tickets for the festival cost £24.50 (£10 concs) for a day pass, and £62.50 (£17.50 concs) for the entire weekend with camping. Vehicle passes are £10 and under 5s go completely free.